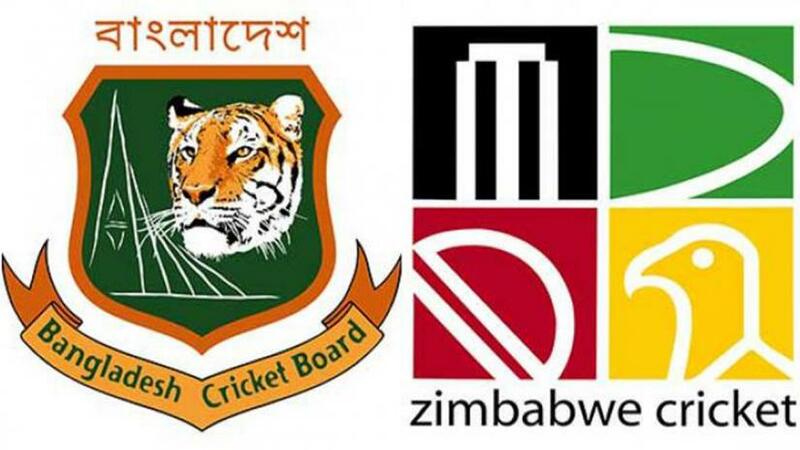 It will be an acid test for Bangladesh as they face visiting Zimbabwe in their crucial second and final Test of the two-match series scheduled to begin on Sunday at Sher-e-Bangla National Cricket Stadium in Mirpur. The match will be kicked off at 9:30am. The Tigers are desperate to level the series against Zimbabwe. Bangladesh are trailing in the two-match test series 0-1 after the visitors inflicted them by 151-run defeat in the first test at Sylhet International Stadium on Tuesday (Nov 6). It is a must-win game for the hosts while for Zimbabwe even a draw would be enough result in their third Test series victory away from home, reports BSS. Tigers’ reputation as a team that is strong at home is on the line. Zimbabwe goes to Monday’s second Test with an upper hand not only by 1-0 lead in the series, but also with the confidence of having dismantled the hosts for less than 200 in both innings in Sylhet. It was a fault that Mominul Haque and Mahmudullah were also guilty about. The responsibility now falls on Mushfiqur Rahim to move up the order – he was at No 6 in Sylhet – so that he can bat with other batsmen around him, instead of shoring up collapses with the tail for company. Newcomers Brandon Mavuta and Wellington Masakadza bowled well in the second innings and again expected to provide a crucial role in the second Test as well. Bangladesh spinners will have to play a pivotal role in the second Test. Taijul Islam had a superb game with his 11 wickets, but Mehidy Hasan Miraz may look to bowl differently in Dhaka. Bangladesh (probable): Imrul Kayes, Liton Das, Mominul Haque, Mohammad Mithun/Najmul hossain Shanto, Mahmudullah (c), Mushfiqur Rahim (wk), Ariful Haque, Mehidy Hasan Miraz, Taijul Islam, Mustafizur Rahman and Nazmul Islam/Abu Jayed. Zimbabwe (probable): Hamilton Masakadza (c), Brian Chari, Brendan Taylor, Sean Williams, Sikandar Raza, Peter Moor, Regis Chakabva (wk), Brandon Mavuta, Wellington Masakadza, Kyle Jarvis and Tendai Chatara.